Celebrating the release of James Bond's 24th adventure on Blu-Ray and DVD, EON Productions and Christie's hosted an exclusive auction of real props and memorabilia from the film benefitting charity. The in-person auction took place on 18th February and an online-only auction spanned 16-23rd February. Together these events raised a total of £3,034,375 ($4,328,857). 100% of all offered lots were sold and benefitted Médecins San Frontiéres (MSF), other charitable organisations, and United Nations Mine Action Service (UNMAS); Chritie's will be donating all profitable proceeds to the charities. 24 lots of SPECTRE memorabilia were offered across the two auctions, giving Bond collectors a unique opportunity to acquire a piece of memorabilia direct from the archives of EON Productions, with additional donations from the Bond cast members, Director Sam Mendes and Bond Producers Michael G. Wilson and Barbara Broccoli. The auctions welcomed James Bond fans from across the world, with registered bidders from 26 countries across 4 continents. Google Chrome users may have to click the silver shield icon in the address bar to enable the video embed script. Video available via AOL. May be restricted to some countries. 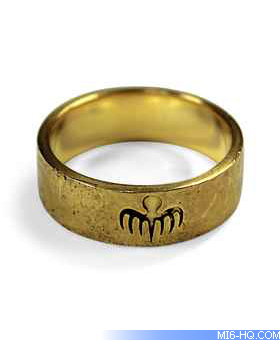 Above: Lot 5; SPECTRE Ring Worn by Chritoph Waltz. 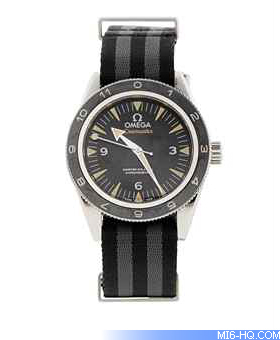 Above: Lot 9; Prototype Omega Seamaster worn by James Bond. Whilst the Aston Martin DB10 was a clear top, accruing a cool £2.4m, in the online auction the highest-value lot was James Bond's initialled Tom Ford cufflinks, which realised £74,500. The online auction added an additional £248,875 to the pool bringing the SPECTRE auction fundraising to a grand total of £3,034,375.